Having computer problems or experiencing technical difficulties? Let our technicians help! The Duquesne University Computer Store currently has full-time Technicians who are Apple and Dell certified. 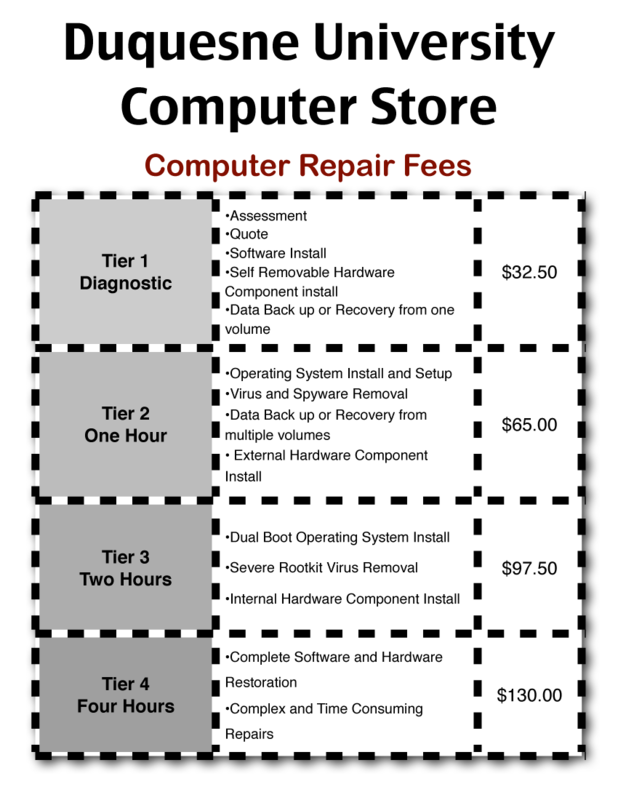 These friendly Technicians are qualified to assist you with any computer-related problem. To contact Technicians, call (412) 396-5645.